Hit it out of the park for your family by booking a premium spring training package at The Westin Phoenix Downtown. 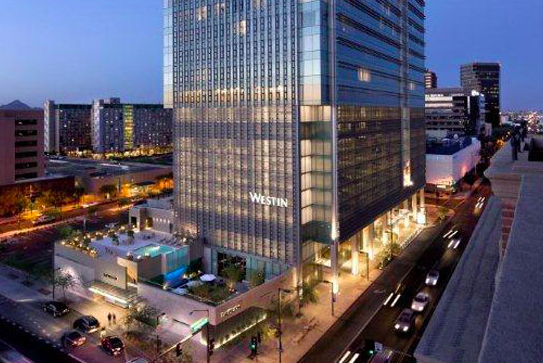 Centrally located near all stadiums and conveniently situated minutes from Phoenix Sky Harbor International Airport, The Westin Phoenix Downtown is the ideal place to stay following a day at the ballpark. Relax in the hotel’s oversized guestrooms that offer floor-to-ceiling windows and stunning views of downtown Phoenix. This package includes rates starting $209, complimentary valet parking and free kid’s meal with the purchase of and adult meal in Province restaurant. The Spring Training 2015 Package is based on availability. To reserve your stay, call (866) 716-8137 and mention rate plan LBPKG1, or book online: www.westinphoenixdowntown.com.